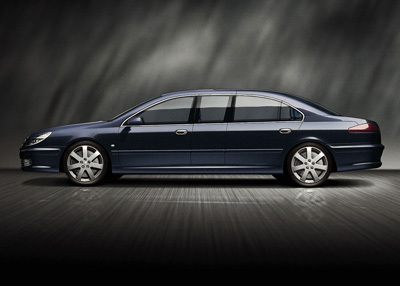 The Peugeot 607 Paladine from the 2000 Geneva Motor Show had the appearance of a luxury limousine crossed with a Peugeot 607 sedan. Over 5 metres long and riding on 18" wheels the 607 Paladine was equipped with a wealth of luxuries, including a refrigerated bar, personal climate control, high-tech stereo, reclining rear seats with adjustable footrests and electrically adjustable headrests, and even a small library section. 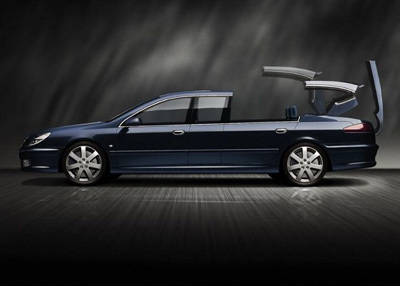 The most impressive and unique feature of the Paladine however was its folding metal roof which stowed away neatly in the trunk and allowed the rear passengers an unspoiled view of their surroundings.